NEW! free-light models. 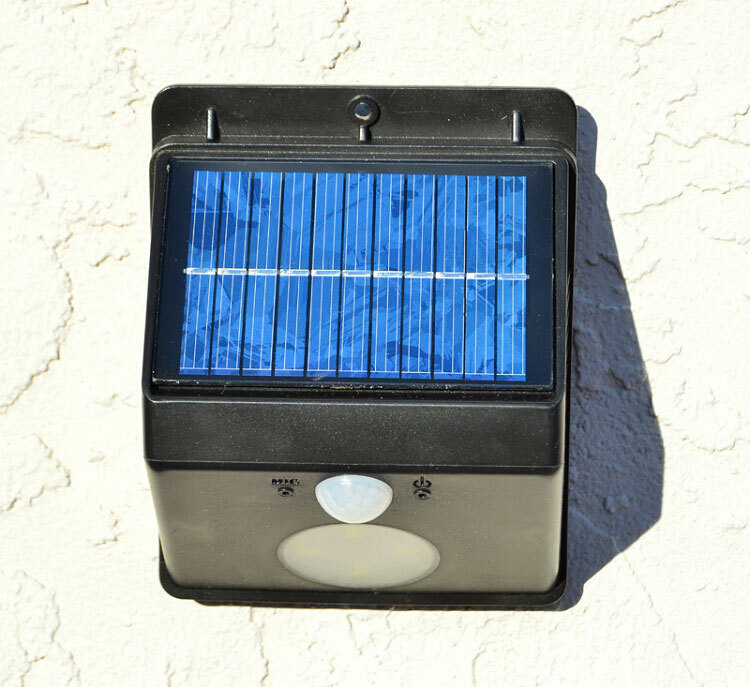 SOLARIS Solar Security Light for stairs and entrances. Super easy to install, takes less than 2 minutes. Stays on at 30% brightness for up to 12 hours, but when someone walks by, the light goes to full brightness for 20 seconds. Ideal for stairs, steps to dock, boathouses, garages, tool sheds. In stock now! NEW! In stock and shipping now. 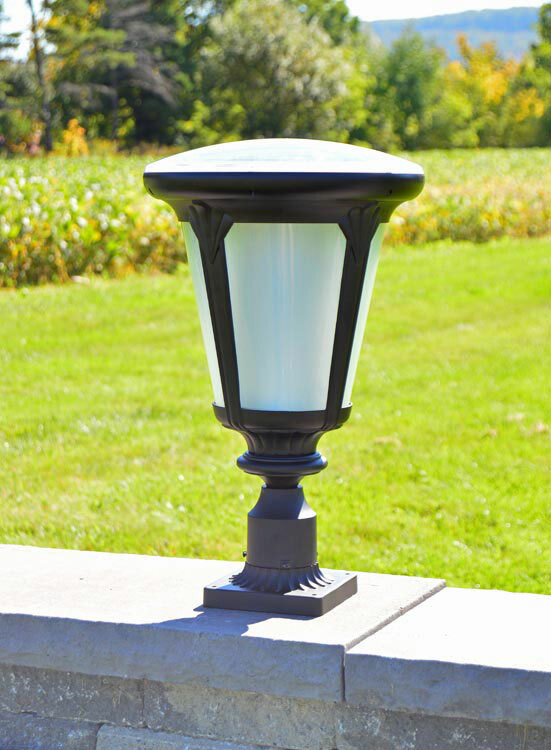 free-light GALAXY Solar Light designed for columns, posts or pillars. Small footprint but long lighting time. Ideal for columns near entrances or driveways. Simple installation, only two screws. Full inventory arriving Feb 12. Add your name to the waiting list. NEW! free-light Colonial Post Mount Light. Mounts on 3" standard electrical pole or to brick column or pillar. 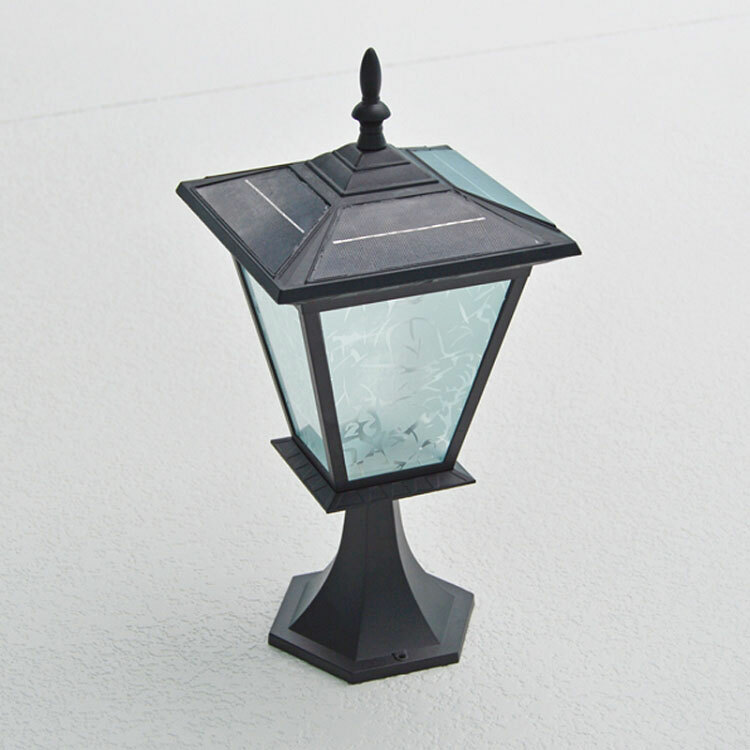 Based on the same look and operation as the Colonial 1 Courtyard Light, this self contained light is simple to install. Full inventory arriving in two weeks. Add your name to the waiting list. We have updated the controllers in our Eclipse Solar Light (perfect for gardens, decks, and pathways), and Beacon Solar Light (low to the ground and best for sidewalks, stairs, and gardens) to enhance battery charging and extend battery life. Shipping now. 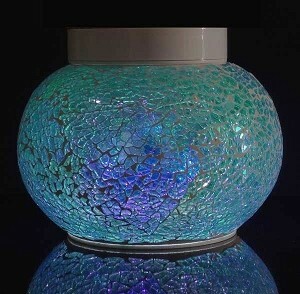 Solar Expression Table Lights also have updated/enhanced controllers to improve lighting time and battery life. So many beautiful colours to choose from. Sentinel Security Light. We apologize for the delay in getting this product back in stock. Improvements in the charging circuit will enhance lighting time. Shipping now. Do you have an outdoor lighting problem you'd love to solve with solar? Talk to us! No wires... just add sun!